In what appears to be a slight slip of the tongue, one of Microsoft's execs has admitted that the forthcoming Banjo-Kazooie: Nuts & Bolts for Xbox 360 from the much-lauded studio at Rare will feature motion sensing control as a key mechanic in the game. 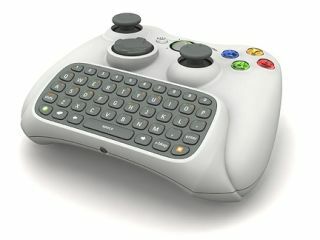 Microsoft's Ken Lobb has claimed that some form of controller movement is a key aspect of the game. Lobb told an IGN interviewer: "The primary function that Kazooie has in the game is she carries this wrench, and the wrench is used for many different things. "One of the things that the wrench is used for is to turn these devices. So you basically grab with the wrench and then you twist the controller around and it'll move different things in the game." You can see the gameplay video over on IGN. The ever-vigilant, all-seeing VG247 notes that "everything's littered with button icons for the normal 360 pad, so are we looking at some sort of add-on for motion stuff?" Stay tuned for our full report from Microsoft's E3 conference next Monday at 10.30am west coast time (that's 6.30pm GMT), when we expect all to be revealed.